KANO, Nigeria (Morning Star News) – A Christian woman and her adult daughter face kidnapping charges filed to pressure them into following the family patriarch’s conversion to Islam, sources said. 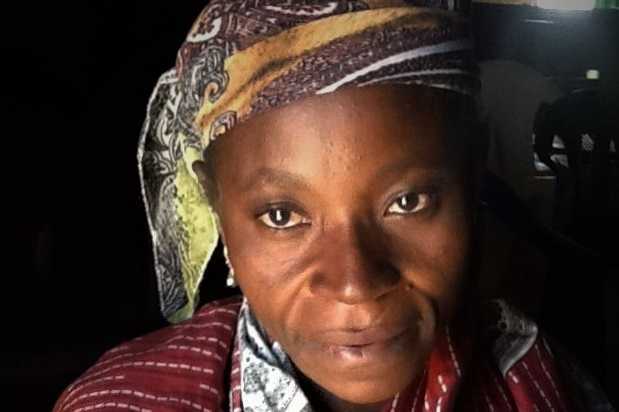 Amina Isa, 40, of Kano state’s Gidan Kuran village in Tudun Wada Local Government Area, told Morning Star News that her husband left Christianity to obtain a government job, and that he and other Muslim officials have pressured her to convert to Islam by filing false kidnapping charges against her and her 21-year-old daughter. The mother of five children said her husband, Garba Usman, converted to Islam in 2012 as a precondition for appointment as ward head in their village. She had told him that she would not convert to Islam along with him, she said. “I reminded him that he should remember that all my family members are Muslims, but that I am the only Christian in that family, and that I married him because he was a Christian like me, so I cannot now convert to Islam simply because the Muslims have appointed him a ward head,” she said. Their five children also refused to convert to Islam and insisted they would remain Christians with her, and as a result, she and three of her daughters – ages 6, 15 and 21 – were abused, she said. The couple separated after Usman’s conversion to Islam, and he took the three daughters to live with him, she said. He adamantly opposed their continued attendance at church worship services and participation in Bible studies or other church activities. The 15- and 21-year-old daughters were active members of the church’s evangelism outreach group, but their father has stopped them from participating in it or attending worship services, Isa said. A member of the Evangelical Church Winning All (ECWA) in Gidan Kuran, Isa said the kidnapping charge arose early last year. Usman and Muslim officials had forcibly enrolled the couple’s youngest daughter in an Islamic school, she said, and Isa and her oldest daughter undertook efforts to enroll the younger daughters at a Christian school in Zaria. They were able to enroll one of the daughters before Usman found out and reported it to the Muslim authorities, she said. Both she and her oldest daughter were arrested in March 2017 and taken to court before they were bailed out with the help of area Christian leaders, she said. The adult daughter went into hiding after winning bail, but her father and the other Muslim leaders found her and are holding her with the two younger daughters at a site unknown to their mother, Isa said. Ayuba Hassan of the ECWA, who is also chairman of the Christian Association of Nigeria (CAN), Tudun Wada LGA Chapter, told Morning Star News said that the association has hired an attorney for her. Isa appeared in court three times last year, and the trial continues at the Magistrate Court in Tudun Wada Dankadai town.